Detailed street map of Faro town centre and the surrounding areas, towns & villages. Street Map of the Portugal Area of Faro: Find places of interest in the area of Faro in Algarve, Portugal with this handy printable street map. View streets in Faro and areas which surround it, including neighbouring villages and attractions. Local town centre maps. Places of interest in and surrounding Faro include: Faro Railway Station, Conceicao, Estrada des Bras, Sao Joao de Venda, Faro Airport, Sao Pedro, Falfosa, Montenegro, Campina, Bom Joao Railway Station, Faro Cemetery, Vale de Amoreira, Camara Municipal de Faro, Alem, Lejana de Baixo and more. Easy to Print Map for Faro Portugal. Get a Satellite View of Faro, Algarve. 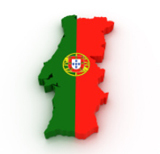 Find Routes To and From Faro area. View Villages and Towns Around Faro. Identify Faro Areas of Interest. Easily Find Faro Tourist Attractions. Zoom in, Pan and Move Around Faro. Locate streets and roads in and near Faro, locate interesting places and attractions in and near Faro, locate churches and religious centres in and near Faro, locate hospitals and health centres in and near Faro, locate towns and villages surrounding Faro area.